This week, Titan Comics has been teasing out some of the panels from their new Fighting American series with some art from the series launching in October. But for the fourth of July, American Independence Day, this British comics publisher has decided to promote this American patriotic character in a very special way. 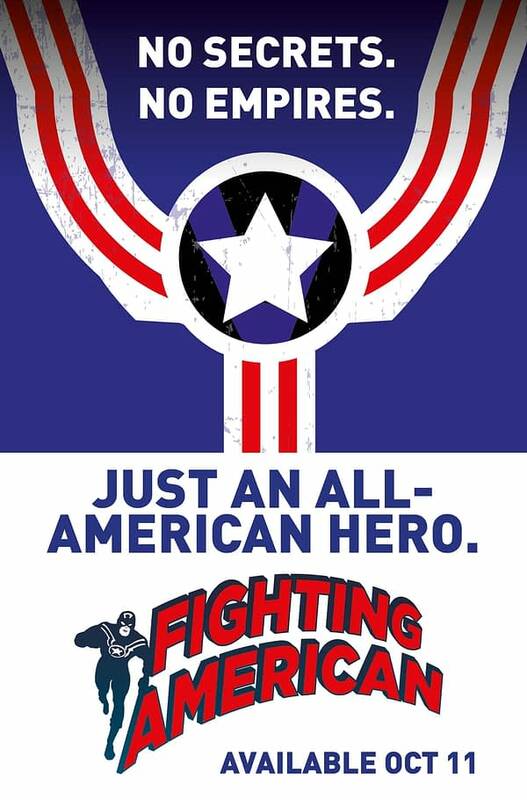 The Fighting American was created by Captain America creators Joe Simon and Jack Kirby as a way to show what would become Marvel Comics exactly how to do a patriotic character. And at a time when Simon and Kirby weren’t allowed to work on their own character, as a result of legal skirmishes. And so, after much criticism of the way Marvel has recently treated the character, revealed him as a Hydra sleeper agent, had him take over the USA and impose a fascist government, and aiming to take over the whole of reality with Secret Empire, Titan Comics has one simple message, and sharing exclusively with Bleeding Cool. Happy fourth of July everyone.